This entry was posted on October 14, 2014 by Nicholas Lake | Marketing Manager. Rough weather conditions may be the cause of many diverse problems occurring with a home’s roof. Knowing what area is vulnerable and moreover, what should be done to prevent or repair such a problem, is vital. The older a roof is the more likely it is to suffer damage when faced with storms, high winds, snow or even heavy rain showers. A roof needs to be kept in top shape if it is to provide the residents with protection against the forces of nature. If a house has sprung a leak there will often be visible signs on the ceiling of the house as stains will appear. Immediate action needs to be taken if the roof is intended to last thus the cause of the leak should be determined and repaired appropriately. It is wise to have the problem looked at by the earliest convenience as one would not like to be caught off guard when a storm arises, likely to cause more damage not only to the roof but also roofing timber, plaster as well as a home’s interior. Although cleaning the gutters is not a fun activity it should be done frequently besides regular maintenance. 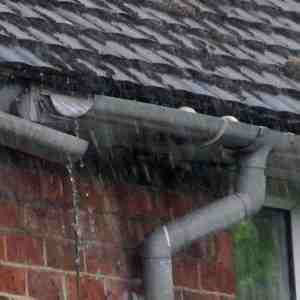 Gutters that are filled with debris can force water to penetrate a house from underneath the roof tiles or the overflow can cause damage and localised flooding close to the wall and foundations of the house. Regular cleaning intervals will prevent damage in addition to saving costs. Cleaning of gutters should ideally take place two times a year, fall and spring to ensure they are clear of all leaves, twigs as well as checking for damage that might have been caused by snow or ice. When attempting to clean the gutters, use a ladder to ensure one reaches all the spots along the gutter sufficiently. It is best done during a day that is windless similarly taking into account the ground surface, as wet muddy ground will not offer stability to the ladder being used. When cleaning you should start with the downspout holes, moving along the surface of the gutter. Gloves are also recommended due to gutters sometimes being filled with decaying plant matter, birds or other small animals. If all debris is free from the gutter you should gently wash the gutter out with a hose ensuring that there are no blockages. Gutters can become saggy or break due to clogging which causes damage therefore it might be an idea to get professional gutter cleaning services. A valley is the section of a roof where two parts come together and form a ‘V’. It is the method used to connect two roofing angles where they meet. If a new roof is being put up, the use of old valleys is not recommended as they are unlikely to last. Once the mortar becomes old it will crumble away hence causing a leak as the case may be if tiles in a section have loosened accordingly also becoming a source of leaks. If this area is not maintained and kept free from debris it will likely be a potential origin of water leak inside, causing it to weaken roof timber as well as seeping through the ceiling. If a discoloration is noticeable on the ceiling during heavy rains it is strongly advised to have a professional make a proper assessment. Flashing is the lead found between roof tiles and a buildings structure and is used to prevent water from finding its way inside. These most commonly leak at chimney’s so if a leak if found in that area it ought to be checked upon first. Lead flashing can damage due to old age as it grows thin from wear, producing breaks over years of service. 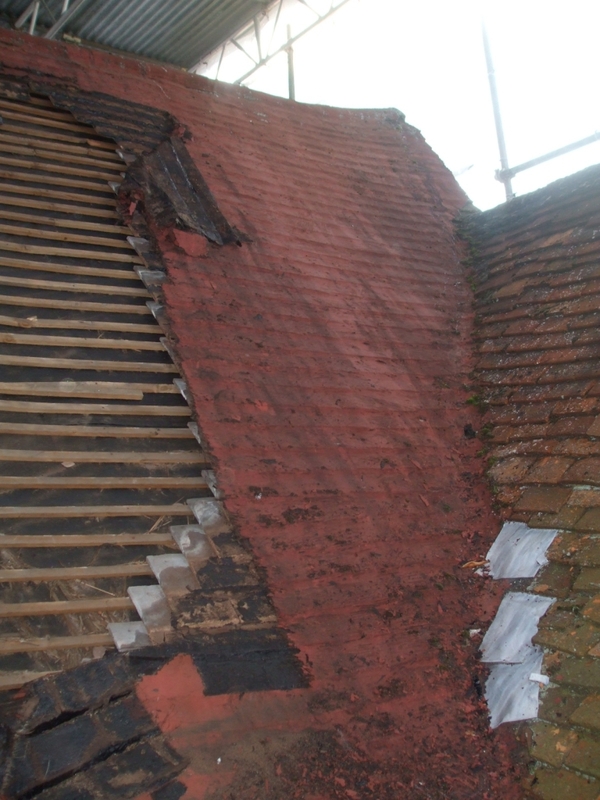 Using the old lead flashing could save time and money when a new roof is fitted though, but consideration must be given to its age and condition. If the roofing contractor feels it will not do for another couple years new ones should be fitted. One can also have a look at alternatives available.. When a new roof is being fitted and clay / slate tiles are used one could consider using some of the old ones if they are still in a good condition. Slates are found to be the most commonly used on roofs thus the old tiles can be inspected for quality or splits and re-used if found to be in a good condition. Matching tiles can also be found second hand saving on money. Old roofs do not always need to be replaced as sections can be done. Hand-made clay tiles or even machine clay tiles will also need to be inspected for damage and if found to be in good standing used again. With these tiles softness or flaking will be noted if the tile is becoming brittle. 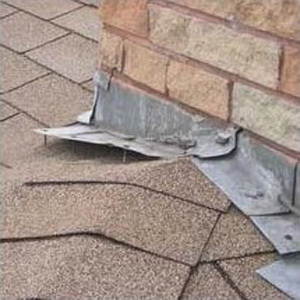 Your roofer will be able to asses these for you to ensure you only need replacing of the broken ones. Concrete tiles have also become very popular and widely used as they offer a 60 year life in addition to being practical. If replacing and these are more than 20 years old it is highly recommended that they are not used again. Once new they are perfect for roof covering but with age it is commonly found that they become thin and fragile. These tiles are also prone to moss build-up and surface grazes so should be considered with care depending on the area the house is in and regular weather conditions. Many tiles can provide a long lifespan if the roof is maintained regularly. 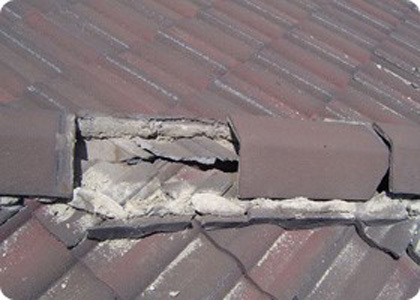 Damage can be cause by more than the obvious age as tiles can also become dislodged during a storm or by tree branches falling upon the roof of a house. Inspection of a roof ought to be done after a storm to determine any damages that may cause problems in the future. The ridge is the very top of a roof where the sides meet and most likely will be fitted with ridge tiles. These tiles provide extra protection against rain water. 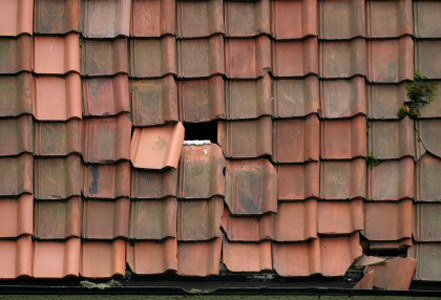 Ridge tiles can be repaired via a dry ridge which will entail clips or screws being fitted although a bed of sturdy grout could also be used. There are a number of insulation options and the best to use will depend on the roof type. 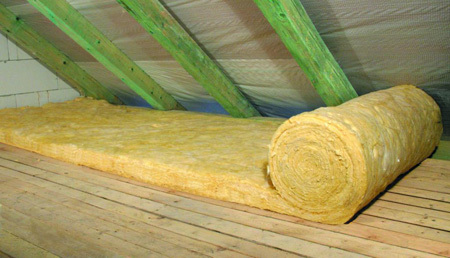 Insulating materials would include any of a number of options such as mineral wool or fiber glass. Thickness of insulation should also be considered so be sure to ask your roofing specialist about his opinion on the types of insulation. Expertly qualified roofing specialists will be able to aid you in all your roofing needs in addition to providing you with regular inspections and the required process to follow. They have the tools to perform the needed repairs along with the experience.